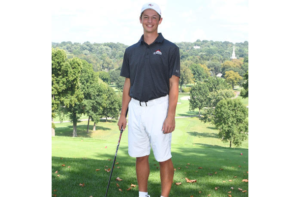 When Gregor Meyer was in middle school, he sometimes golfed with older kids who played on the Fox Chapel Area High School varsity team. He impressed them so much that they told their coach, Bryan Deal, about him and his skills. By the time Gregor, now a senior, finally did try out for the team as a ninth grader, everyone was expecting big things from him. 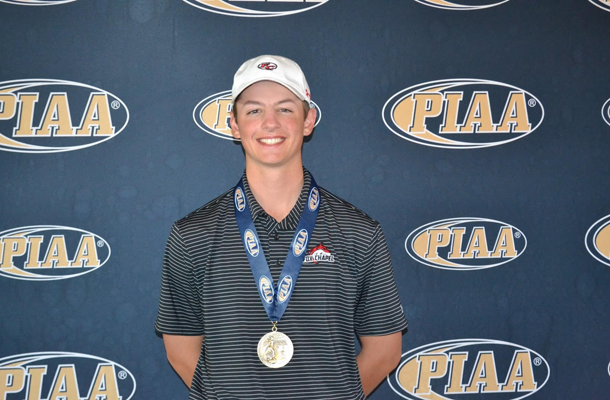 He did not disappoint them then, or now as he wrapped up his illustrious high school career by placing fifth among the state’s top 36 golfers at the 2018 PIAA AAA Individual Boys’ Golf Championship. His finish was the highest for the Foxes’ boys’ program since 1999. But his most recent coveted medal didn’t come before the four-year letter winner gave his coach, and certainly his parents, some concern that the ending might not go as they had hoped. That is, until he reached the eighth hole. Overcoming that deficit on the tournament’s final day was more than remarkable. Gregor maneuvered an amazing come-from-behind performance that resulted in him moving up nine spots over the previous day. Gregor has played in dozens of tournaments over the course of his teenage years, but says he prefers playing with his high school buddies. 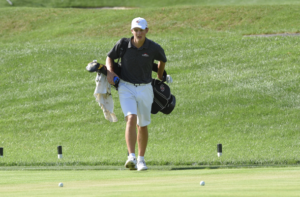 It’s not surprising then that Gregor says his best memories are not of his individual accomplishments, or the college invitationals that have led to recruiting offers, but instead, revolve around the close-knit Foxes’ golf family. If he has any regrets at all, it’s that his team never won a PIAA championship. Last year, they had qualified for the PIAA team finals, and Gregor had qualified for the PIAA West Region individual championships. Unfortunately, four team members, three of them in the starting lineup, were hurt in a serious car accident. None of them, including Gregor, were able to participate in the championships due to their injuries. This year, the co-section team champions sent a record five players to the WPIAL AAA individual championships and three to the PIAA West Region individual tournament. They were even more determined to get to states. A team deep with talent, they suffered a heartbreaking loss at the WPIAL AAA team championships and ended up as the WPIAL runner-up, even though they broke the previously existing WPIAL team scoring record. Central Catholic went on to win the AAA state team championship. Nevertheless, it was a great ride for Gregor. He finished his individual career as one of the most decorated golfers in Foxes’ history.